Hotel Costabella offers an outdoor swimming pool, free WiFi and free private parking on-site. Surrounded by gardens, the hotel is 15 minutes’ walk from Girona’s Old Town. It's also easily accessible from the motorway and Girona Airport, which is 12km away. Hotel Costabella has a poolside sun terrace and a garden. There is also a bar and a restaurant. 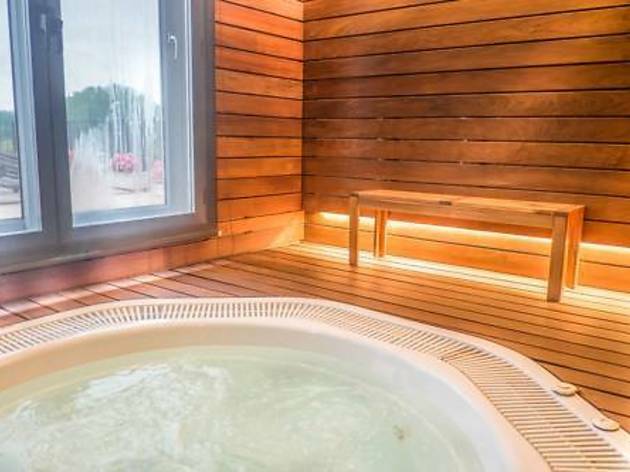 For an extra cost, the hotel offers a gym and spa, with a sauna and hot tub. Massages and beauty treatments are also available. Rooms at the hotel are elegant and comfortable. They all have air conditioning, a minibar and satellite TV.